"As it gets closer and more probable, being a star is really losing its meaning, but whatever it means - I'm ready." 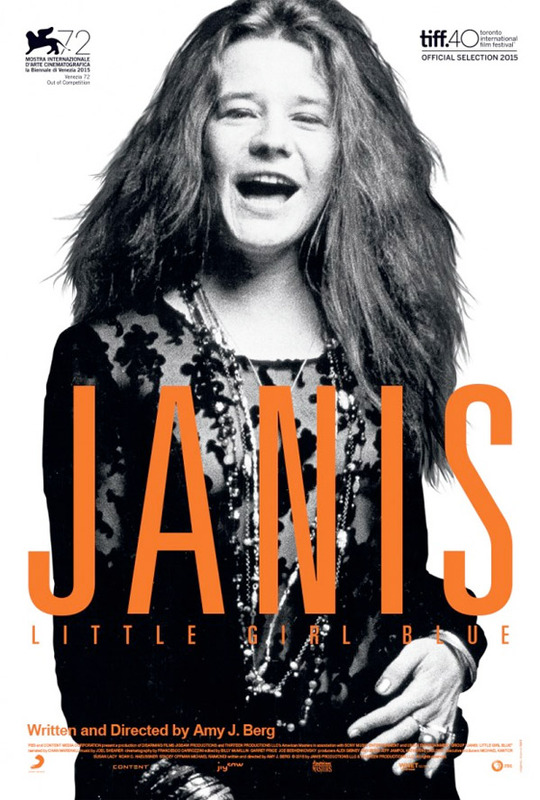 The first official trailer has debuted for the new documentary from Amy Berg (Deliver Us from Evil, West of Memphis) titled Janis: Little Girl Blue. The film received raves out of TIFF and is about the story of rock & roll singer Janis Joplin. This trailer only shows glimpses of the archival footage they've dug up of Joplin singing and laughing and being eccentric and fun. One review says, "Berg is able to craft a much deeper look into the woman behind the myth and the result is unexpected, to say the least." Give this a look. Janis Joplin is one of the most revered and iconic rock & roll singers of all time, a tragic and misunderstood figure who thrilled millions of listeners and blazed new creative trails before her death in 1971 at age 27. With Janis: Little Girl Blue, Oscar-nominated director Amy Berg (Deliver Us from Evil, West of Memphis) examines Joplin’s story in depth for the first time on film, presenting an intimate and insightful portrait of a complicated, driven, often beleaguered artist. Joplin's own words tell much of the film's story through a series of letters she wrote to her parents over the years, many of them made public for the first time in this doc. The film premiered at the Venice & Toronto Film Festivals, with a release starting on November 27th. meh, I'm holding out for Jenna Maroney's "Jackie Jomp-Jomp"
Very cool, looking forward to this. Although I do wish Melissa Etheridge wouldn't always attach herself to anything to do with Janis. Definitely a talented, young singer. It would be interesting to see her career mirrored with another young singer we lost too soon, Amy Winehouse. Better Title: "Undeserved Fame, The Movie"